Tom Claridge is always at the front of the pack in his beautiful and fast Crossle CS9 Sports Racer. Tom's car is the only V-8 CS9 in existence and is powered by a all aluminum 4.5 liter Oldsmobile. Mike Summers in his 1962 Lotus 23b. Mike's car is the ex Frank Monise Lotus that saw nearly 200 in-period races before beginning its life as a vintage racer. 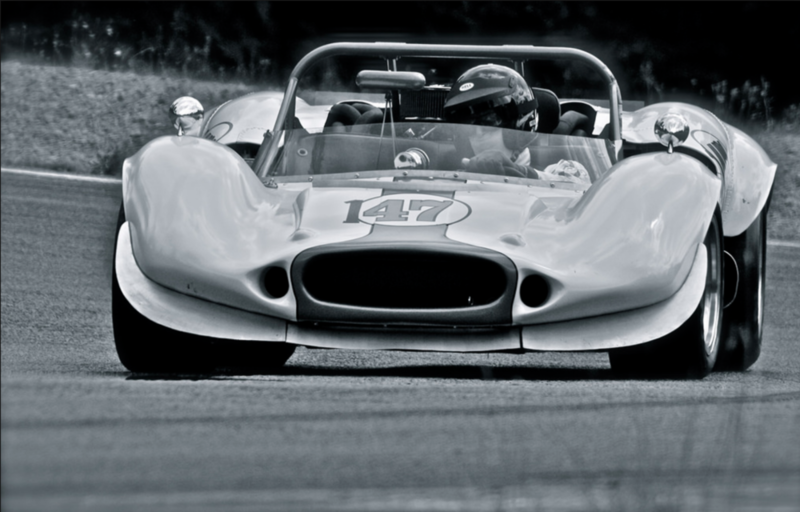 The Lotus also competed in 4 USRRC races between 1964 and 1966. Chip runs this exquisite, 2.7 liter Climax powered Cooper Monaco. One of the rarest and finest cars in the class. One of the most beautiful and iconic race cars ever.....the Lola T-70. This car, raced in period by Parnelli Jones and Mario Andretti, is owned and driven by a early CSRG club member, Carl Moore. The car is supported by John Anderson Racing. Richard runs a 1966 Bill Leonheart Special, designed, built and driven by Bill, this is both a fascinating car, and it comes with a great story. Matthew Polk – co-founder Polk Audio, now retired. More recently co-founder of MSI-DFAT Services, the world’s only full service provider of direct field acoustic testing services for spacecraft. Twenty years’ experience racing SRF’s in SCCA. Now enjoying racing the cars I lusted after when I was younger! 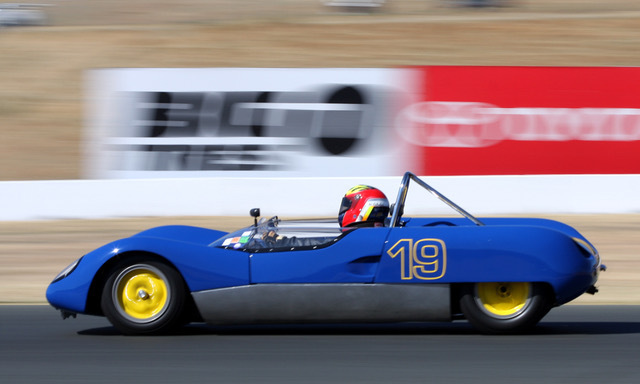 This 1963 Lotus 23b is an ex. Alain De Cadenet (Le Mans and World Sportscar Championship driver) race car. It was also raced by Mark Knopfler (guitarist of Dire Straits) and Desiré Wilson (first female F1 race winner). The car was fully restored during 2017-19. Geir is also competing in Historic Formula Ford and earlier raced go-karts and power boats (world speed record in 1975). I started road racing with the SCCA (San Francisco Region) back in 1974 in both G & F production. Ran the SCCA National Runoffs at Road Atlanta in 1978 (FP Spitfire), and in 1993 (GP Fiat X1/9) where I set the GP lap record and came in third. 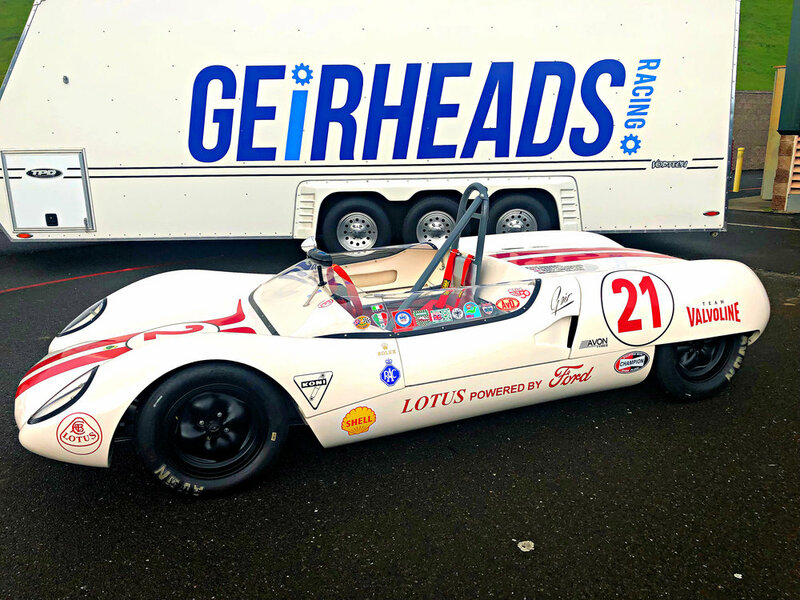 I started vintage racing in 2010 with CSRG in a 1967 Lotus 47 that is exactly as it was raced back in 1969 at the 12 hours of Sebring except for now using a smaller engine.